This has been a crazy holiday season for us. If you are a regular follower, you know that we are in the process building a house. We have been staying with my husband’s aunt during the build. She has a finished basement that has become our temporary home. We realized the other day that it is very possible that we will not make it into our home before Christmas, which means we will not be able to put up our Christmas tree. This made me a little sad. My husband suggested that we purchase a small Charlie Brown Christmas tree & that Mai and I could make all the decorations ourselves. That sounded like a wonderful idea. I had bought a few clear plastic bulbs for us a few weeks ago to use for homemade ornaments & last night decided to make our first one. 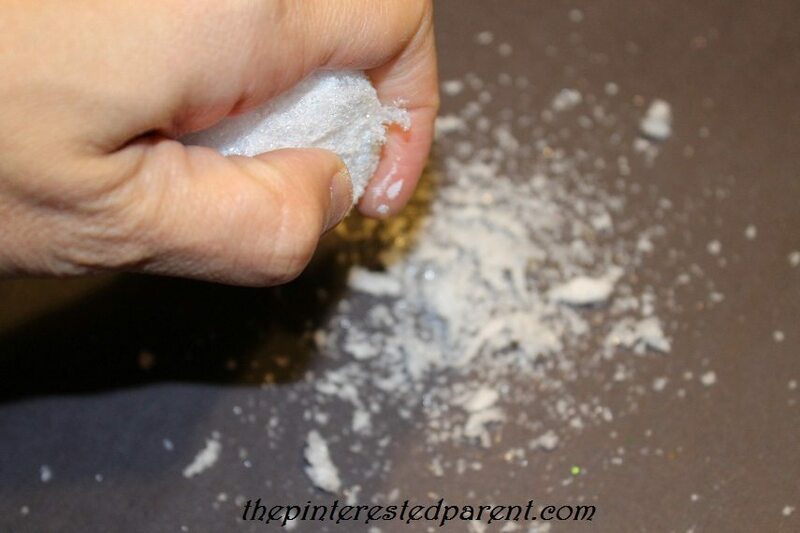 Take a mini Styrofoam ball & crumble it up with your hand until it is in fine flakes. 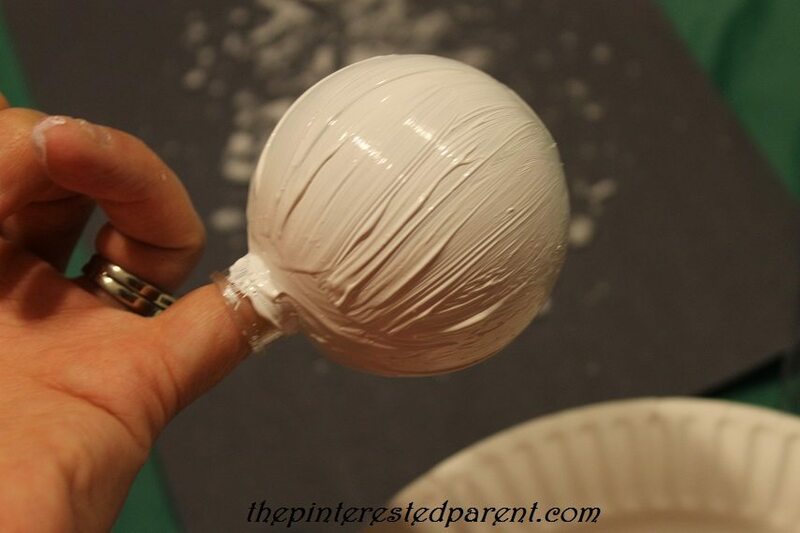 Remove the top of the clear ornament & paint it with white paint & generously sprinkle the Styrofoam on the wet paint. 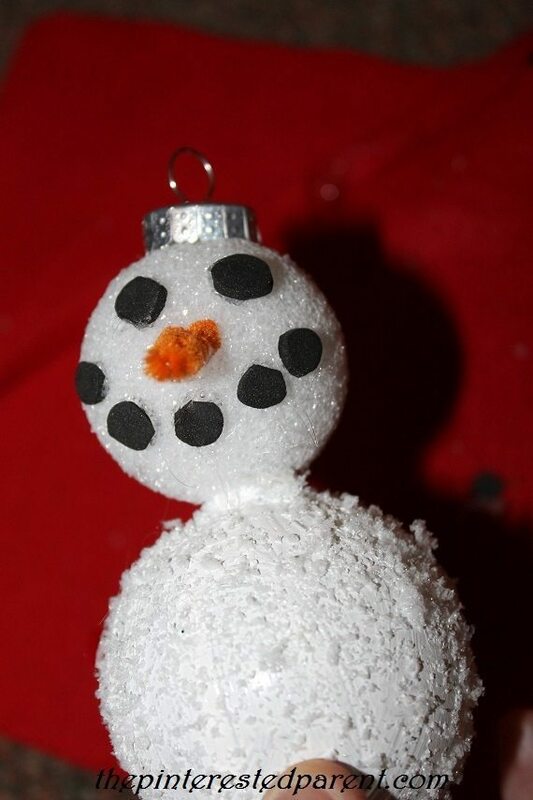 Stick a marker in the ornament & put it in a cup to let it dry. 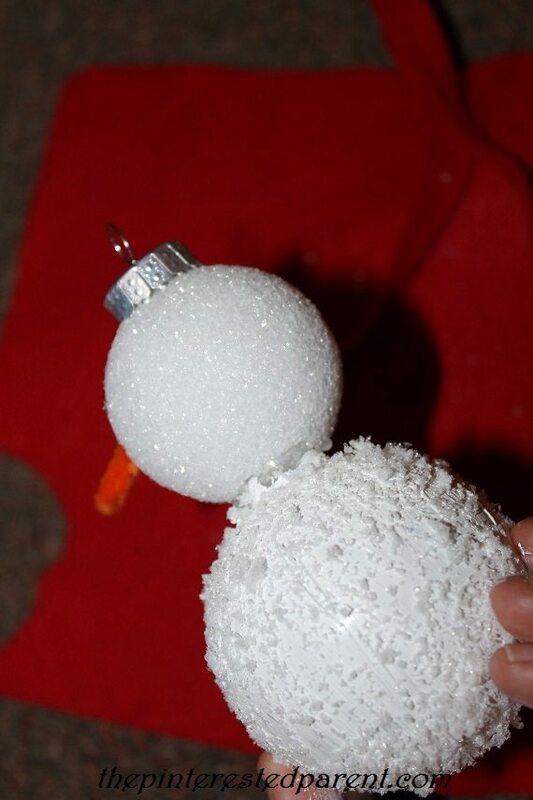 Run a bead of hot glue around the opening of the painted ornament & press a Styrofoam ball into the ball as far as it can go. 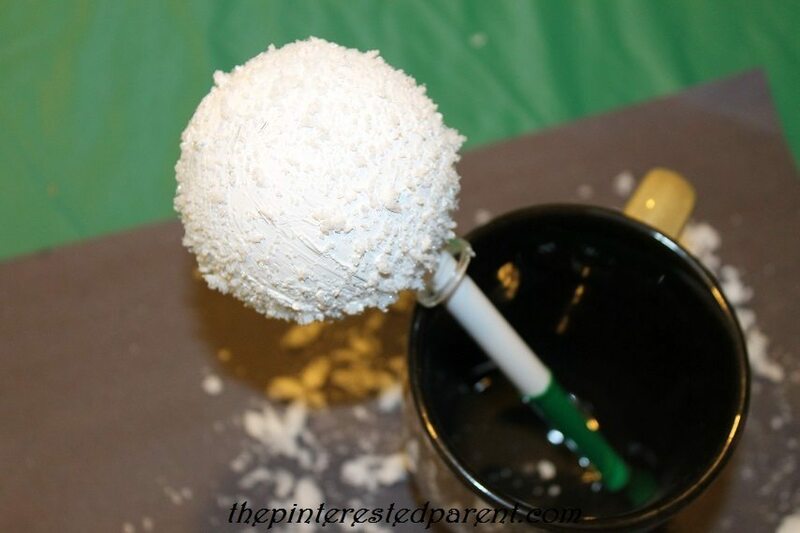 Then push the ornament top into the top of Styrofoam ball. 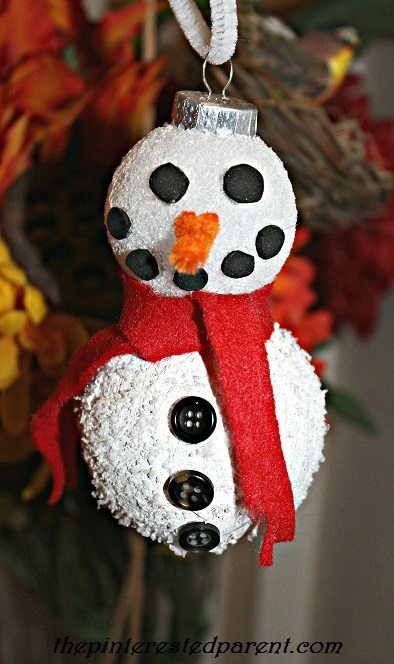 Cut a small piece of pipe cleaner for the nose & fold it in half & press into the middle of the Styrofoam. Cut out small round pieces of black foam for the coal for the eyes and mouth. Glue into place. 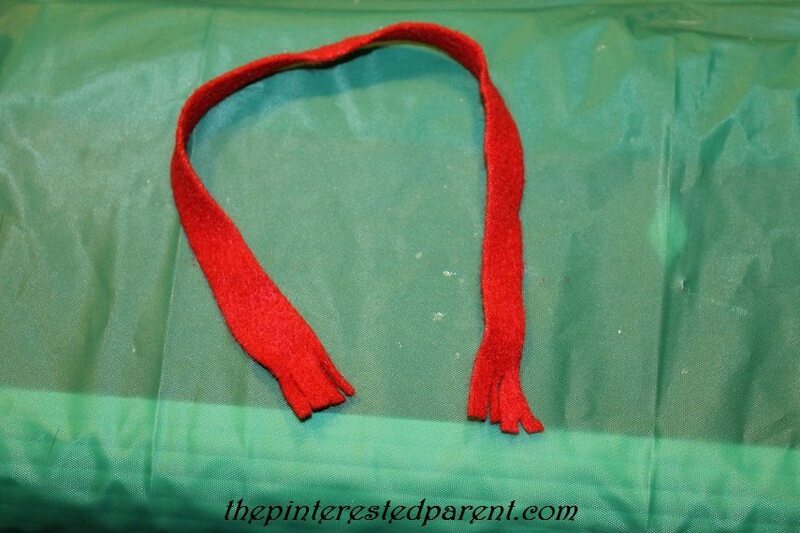 Cut a long piece of felt& snip the edges so the are frayed. Wrap around the neck & tie like a scarf. Glue on buttons to finish it off. This will make a lovely addition to our little tree. 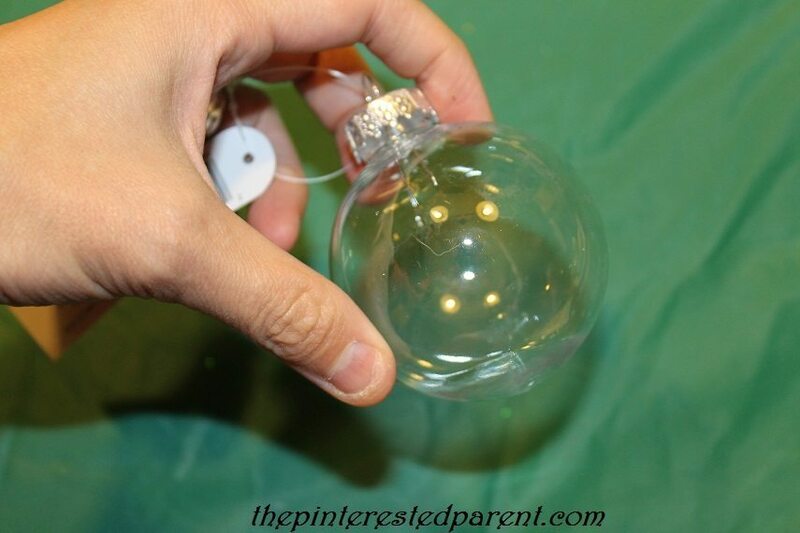 I can’t wait to make more ornaments today with my little girl to fill it.